If you love both gummy bears and marijuana, I have some bad news. 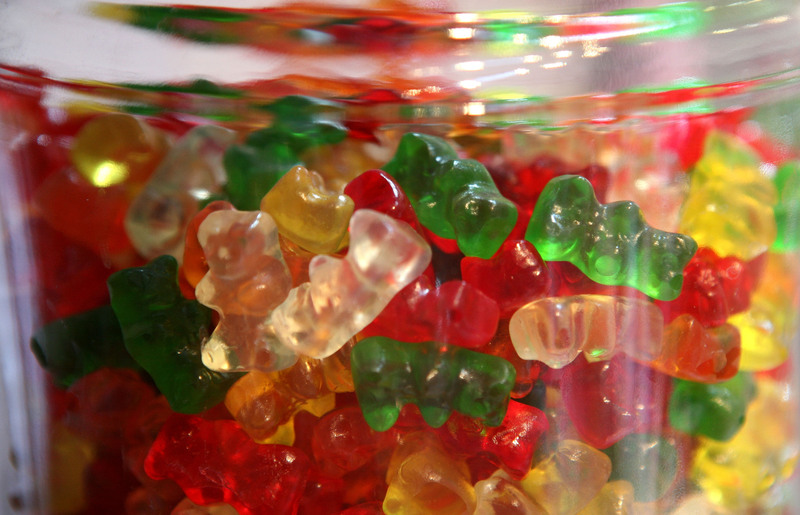 Colorado just banned weed-infused gummy bears — though only certain types of candy are affected. Are your favorites gone for good? Ever since recreational marijuana was legalized in Colorado, marijuana edibles have been big business. In 2014, Colorado sold nearly $5 million in marijuana edibles, and their popularity shows no sign of decline. But they have also presented a challenge in that it's sometimes easy to confuse marijuana edibles with regular, non-pot-related products. Colorado lawmakers have taken steps to prevent such mix-ups by requiring clear labeling on marijuana edibles, but there is no foolproof way to prevent any and all confusion. The big issue with marijuana-infused gummy bears, however, is the chance that children will accidentally ingest them. And indeed, Colorado hospitals have seen an increase in kids who have eaten marijuana candy, which can pose major health risks. Although it's incredibly difficult to overdo it on marijuana the old-fashioned way, marijuana edibles tend to have a much higher concentration of THC, which means it's much easier to take too much and experience potentially dangerous side-effects — and that goes double if you're child-sized. Basically, keeping candy full of THC away from kids is a good idea, to put it mildly. In order to make children safer from marijuana candy, therefore, Colorado lawmakers have passed a bill stating that marijuana gummy candies cannot come in the form of bears or any other "human, animal, or fruit." The publication High Times doesn't think so — in fact they call it, "A purely political move which will do nothing to curb accidental ingestion of cannabis edibles by children." An unsupervised toddler will eat a cannabis candy regardless of whether it's shaped like a bear or a star, taking no heed of a THC stamp or warning labels, so the responsibility for any accidental ingestion by a young child falls on the parents or guardians. At the very least they're probably right about the fact that kids probably won't notice or care whether candy comes in the shape of a bear or a particular five-pointed leaf. But that doesn't mean lawmakers shouldn't try to do something about it. So will this have an impact? Only time will tell. The law goes into effect July 1.